Kwikset Kevo vs August Smart Lock – Which Lock is the Smartest? Whether you are comparing the best smart locks in stores or online, two of the most popular options boil down to Kwikset Kevo vs August Smart Lock. For this article, we will compare the latest versions of each lock: the Kwikset Kevo Gen 2 and the August Smart Lock Pro Gen 3 (with Connect). Both have similar price tags after you purchase their hubs, so it’s a fair comparison. Let’s dive in and find an overall winner at the end! Both smart locks have similar security features. They unlock when you walk up to the door (using your phone as a key since it’s nearby). The locks can also automatically lock when you leave or after a certain amount of time remaining unlocked. If you lose your phone, you can login to the website for either lock and disable phone access. Tap your finger to unlock when you walk up to the door. August unlocks automatically, but Kevo requires a tap of the finger to get access. While this might not add security, it does look impressive. DoorSense technology can sense if the door is actually shut, increasing security. Otherwise, if the door is left open, you can lock the door while it’s still open and not know. 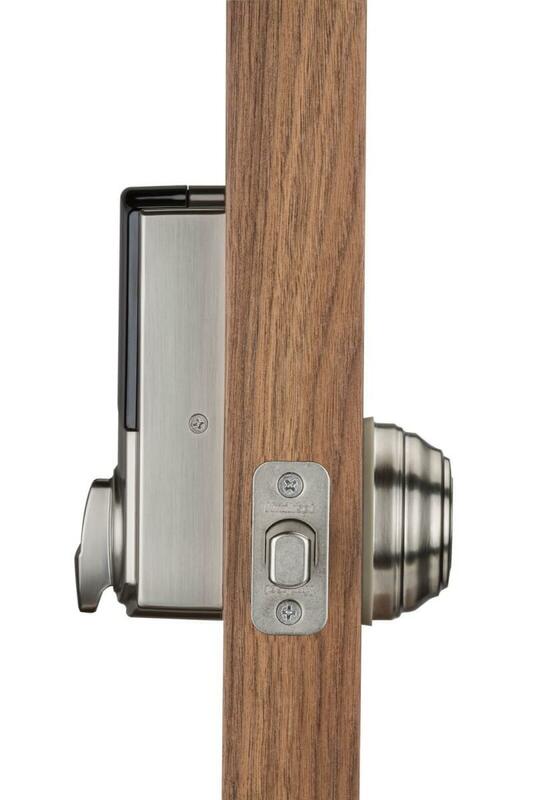 Both locks are very secure, but one feature sets August apart enough to make it the winner: DoorSense. While it might seem very unlikely that you would ever leave the door open, there are still situations where it could happen if you are in a hurry. August Pro can sense if the door is left open, thanks to the external sensor you install on the inside of your door frame. Kevo is ANSI Grade 1 BHMA Certified, but since August is a retrofit solution that installs on top of your existing lock, it doesn’t have a lock rating. Part of August’s security will depend on the original lock— if it’s easy to pick, that won’t change just because August is installed. 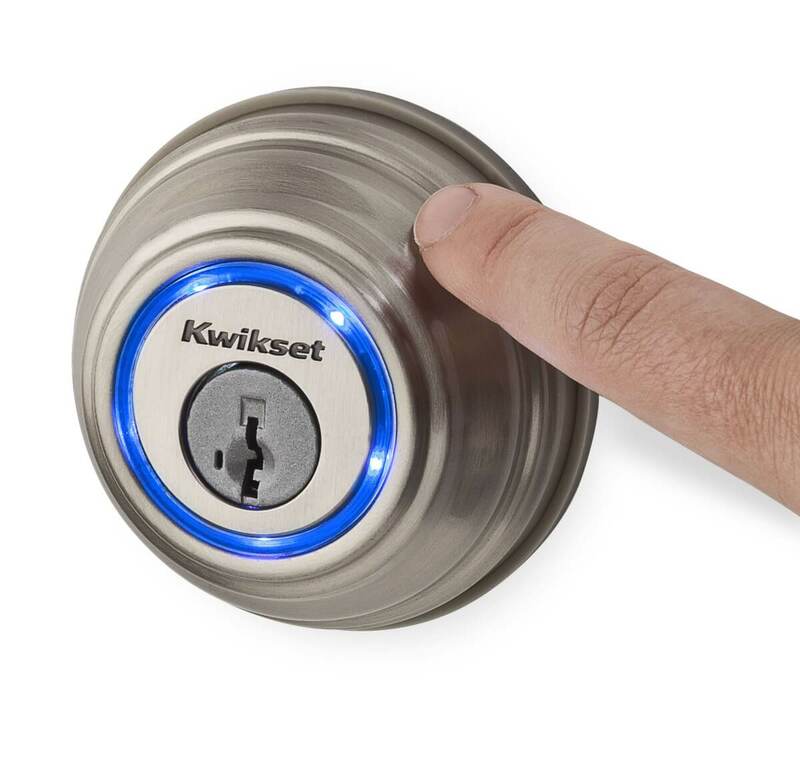 In comparing Kwikset Kevo vs August Smart Lock, both locks offer remote functionality, but only if you install a separate hub (or bridge) connecting the lock to your Internet. Both locks allow you to send keyless access using the app temporarily or long-term. Remote locking/unlocking is only available if you purchase the separate Kevo Plus hub. This connects to your Internet router using an Ethernet port. Remote locking/unlocking is only available with the included August Connect system. The August Connect plugs into an outlet within 15 feet of your door. Then, it communicates between the lock and your WiFi, connecting the two (hence, the name). August Pro includes the Connect bridge at no additional cost, while Kwikset does not include Kevo Plus. 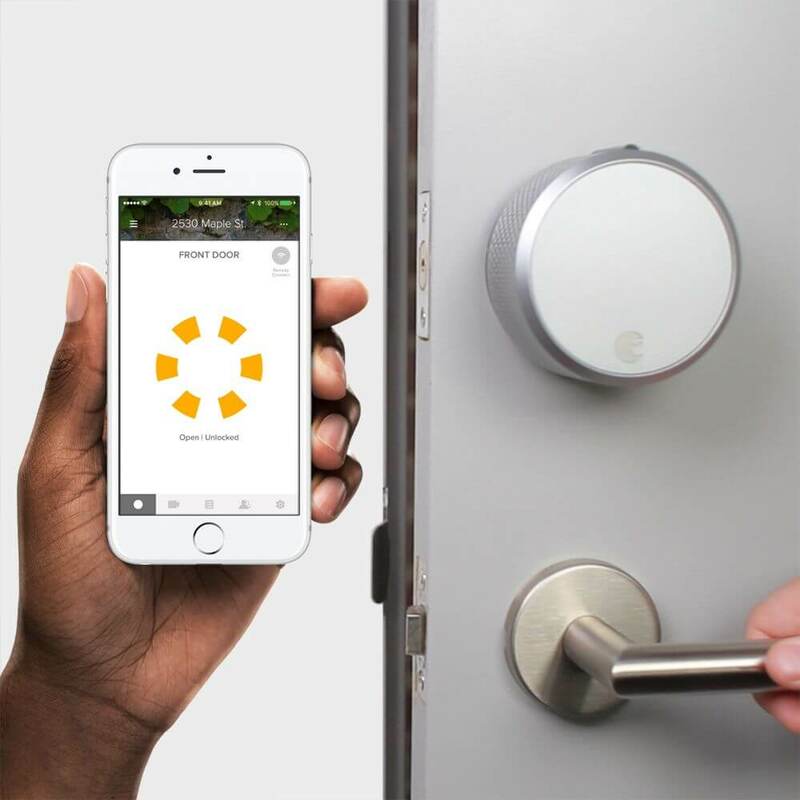 This means added cost if you want to remotely lock/unlock your door or give keys to friends and family using the Kevo lock. 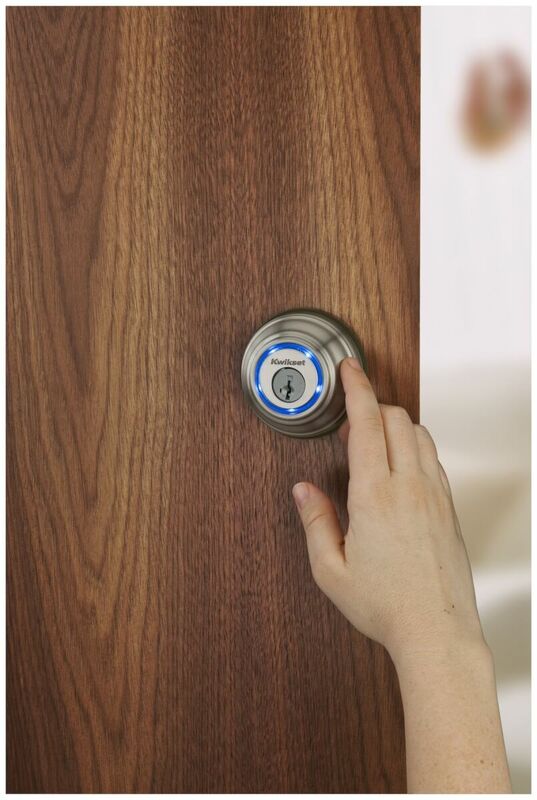 This is a big benefit of August when looking at Kwikset Kevo vs August Smart Lock Pro. However, even if you decide to purchase Kevo Plus separately, your total price tag for Kevo and Kevo Plus hub is similar to August Pro + Connect. That’s why we are calling this category a tie. 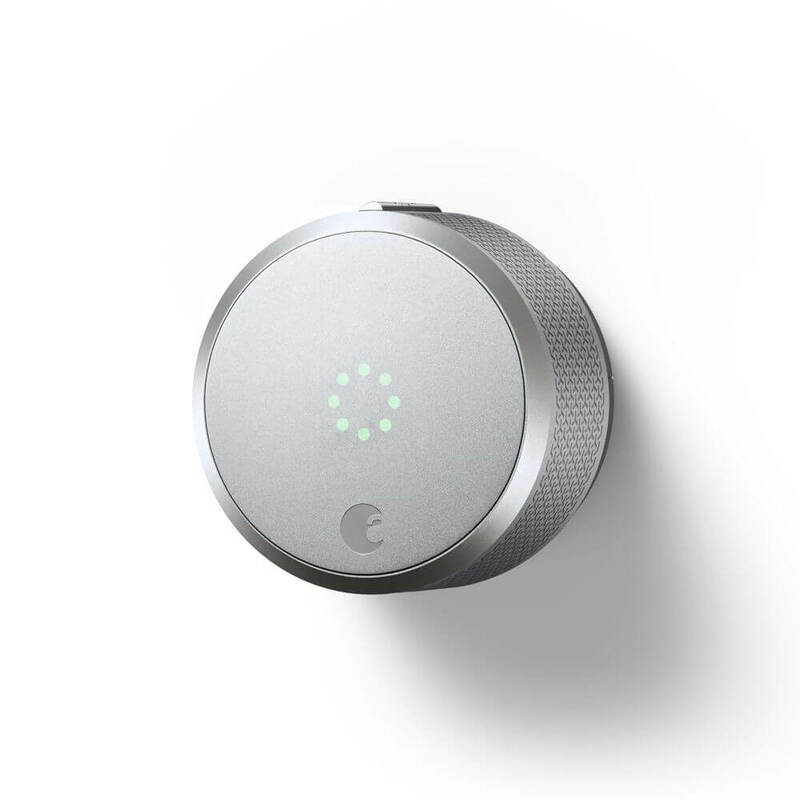 Why would you want your smart locks to communicate with other devices around your home? Simply, it adds convenience and makes it easier to keep your door locked, increasing your home’s security. For example, when your August recognizes that you just left home, it can set your Nest thermostat into away mode, decreasing your energy bills. Z-Wave compatible. This means you can use it alongside dozens of other devices with a hub like SmartThings. August works with more platforms than Kwikset Kevo does. Its SmartThings integration adds another layer of functionality that makes it even easier to automate. Both apps send notifications when the door is locked or unlocked. While most major Android and iOS phones are compatible, some are not. You will want to check their list on Amazon before purchasing. Receive additional notifications if the battery is low, when the door is left open for too long, or for for specific people. Works on iOS and Android devices. Also compatible with Apple Watch using HomeKit. Slightly higher user ratings in the Apple and Google Play app stores. Kevo doesn’t work with all iOS and Android phones like August does. User reviews also show that the August app is more reliable. Both locks require 4 AA batteries and have a 1 year battery life. Key fob option is available for those who do not use a smart phone. It works exactly like a smart phone, by unlocking at your touch when the key fob is near the front door. Looks like a classic lock, with a light ring around the lock to show its status. Comes with Lifetime Mechanical and Finish Warranty, and 1 year electronic warranty. Works with your existing lock. Install August Pro on the inside of your “dumb” lock. Its hardware turns the lock to secure your home. This means you can continue to use your current keys to access the home manually. Due to its retrofit style, August doesn’t work with non-standard deadbolts, so you’ll want to double-check that your deadbolt is compatible before purchasing August. Dark gray and silver are both available to match the look of your home, since it is installed on the interior. It’s pretty impressive to watch the Kevo unlock at your touch. It has a great design and look to it that blends in nicely while still looking high tech. In one way, I really appreciate that Kevo replaces your current lock. When you’re purchasing a new door lock, it feels like the entire deadbolt should look fresh and new, inside and out. Kevo’s key fob option and longer warranty also push it past August in this category. But if you live in an apartment or want to keep your current keys, August will be a better option. 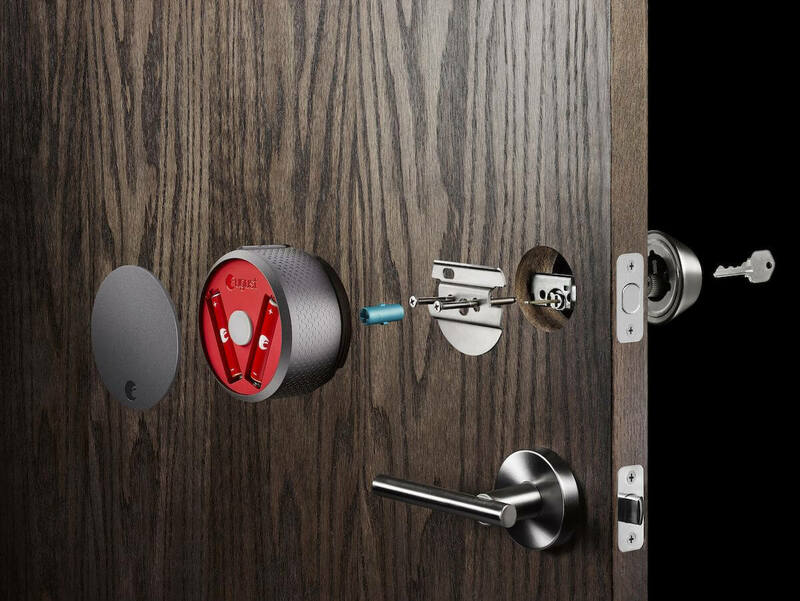 While I don’t love its big design, August Plus makes it easy to install a smart lock on your home, even if you don’t want to go through the hassle of replacing the lock. It has a much simpler installation process since you aren’t replacing the entire deadbolt. August Smart Lock Pro + Connect! With better smart home compatibility, and app design, it’s easy to see how August came out on top in this comparison. August has always been easy to install and the leader in the smart lock scene, but its Pro version only extends its features, with DoorSense and HomeKit compatibility (see all differences between August vs August Pro here). Kevo may be a good choice if you love its design and don’t mind purchasing the Kevo Plus hub separately. I like that it offers key fobs and still works with the major smart home players. Its user reviews about dropped connections are worrisome, but these are always present at some level in the smart home space when connecting devices to WiFi. For most people, we recommend August Smart Lock Pro. If you want to dig your research a little deeper and find out why we decided to purchase a Schlage, check out our comparison of Kiwkset vs Schlage vs August.